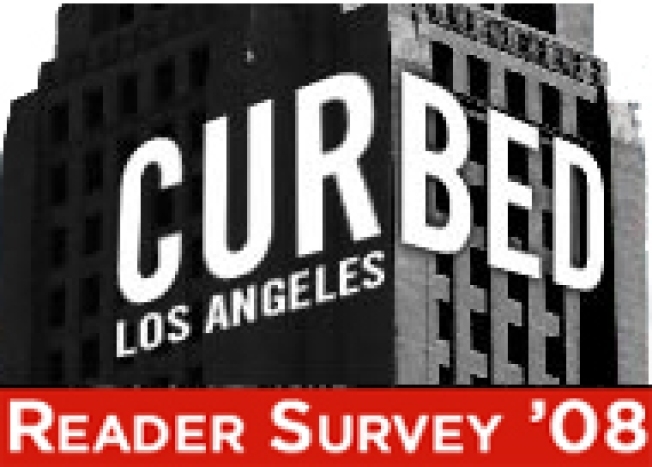 Dear readers, we've got a favor to ask of you: if you enjoy reading Curbed (hell, even if you don't), please consider taking three minutes to fill out our Curbed LA Reader Survey. The questions are mostly demographic things that potential advertisers tell us they're interested in knowing about you; the last few questions give you a chance to tell us what you like about the site—and what we could be doing better. The more responses we get, the healthier this site will be. To sweeten the pot, we're offering $250 to one randomly selected survey participant. (The winning entrant will be selected from all the Curbed Network surveys we're conducting over the next few weeks and paid by November 30.) Click on the link below to get started. Thanks for playing.